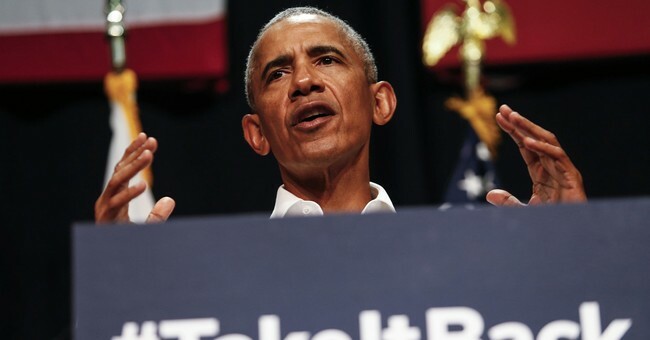 As Barack Obama lit into President Trump and his voters Friday in a speech at the University of Illinois, much was made of how unprecedented it was for a predecessor to level such public criticisms of an immediate successor. Two reactions came to mind. First, that tradition may be dead. If there are two presidents fond of touting their accomplishments in stark comparison to the competing party, they are Barack Obama and Donald Trump. Second, I didn’t really mind. The Trump era has ushered in a period of unfettered directness that may carry more pluses than minuses. So with pesky etiquette issues brushed aside, the deck was cleared for evaluating the effect of a newly vocal Obama, a former president taking to the campaign trail to counter what will be a guaranteed abundance of Trump appearances designed to brighten his party’s prospects in November. On paper, the return of Obama is a big deal. His popularity remains stratospherically high. Honest Democrats will tell you they know their party has little prospect of nominating someone of his skill set in 2020, adding to the pangs of nostalgia. But as he launched several mocking observations about the Trump record and the need for a Democrat remedy, it struck me that while Democrats will surely be energized by his rallying cry, there is another faction that may be spurred to action as well: Trump voters. Here’s something else that’s getting old to vast sections of America: false charges of bigotry. As Obama lengthened his litany of Trump’s offenses, I felt a rumbling that I sense is shared by a significant number of Republicans. It boils down to this: Defeating Hillary Clinton two years ago was one of the great days in the history of modern conservatism. It was a necessary event because a Clinton presidency would have continued or intensified various Obama policies antithetical to the concepts of a robust economy, strong borders and constitutional governance. His return to the daily stage will surely be welcomed by his fan base, but it is also a reminder for conservatives of the cannonball dodged in 2016. The strong economy, tax cuts, regulatory reforms and the promise of constitutionalist Supreme Court justices combine for a package the Trump base will not surrender blithely. Obama bemoaned “the politics of division and resentment” as if his eight years were a calming balm of unity. The truth is that common ground is largely a myth, and that’s fine. A liberal agenda will delight millions and repel millions; a conservative agenda will do the same with the reactions reversed. But conservatives have about had it with the charge that only their views divide people. Throw in his reminders that Democrat victories in November will empower a return to their policies on issues from immigration to climate change, and a question arises. For every Democrat yearning for that return, how many Republicans will crawl on broken glass to vote to prevent it? There is continued buzz of Democrat passions congealing this year to form a “blue wave.” This is a possibility, in view of the party’s desire to subvert a Trump agenda that has undone in two years much of what Obama achieved in eight. But that wave will not reach the shore if it is met by a negating force of Republicans cherishing the last two years, who are in no mood to lose that momentum. The coming weeks will be filled with images of Trump stoking arenas filled with Republican voters, spurring them to turn out for the GOP in two months. Those same voters may be similarly inspired by the Obama road show and its threats to undo what they have worked so hard to achieve.